Two more high-level aides to New York City Mayor Bill de Blasio are leaving his administration, his office said Thursday, following the announcement a day earlier that his top attorney would quit to chair the watchdog board that investigates police-on-civilian misconduct. On Wednesday, de Blasio’s office said lawyer Maya Wiley, who has directed the mayor’s defense to a series of fundraising probes, would leave July 15. She will become chairwoman of the Civilian Complaint Review Board, the NYPD watchdog, and take a position as “senior vice president for social justice” at the New School, where she’ll teach. Wiley’s appointment to the review board rankled the largest police union. “By appointing a top aide to lead the CCRB, Mayor de Blasio has effectively removed all impartiality from the critical cases involving police officers that come before this so-called ‘independent agency,’ ” Patrolmen’s Benevolent Association President Patrick Lynch said in a statement. The board’s previous chairman, Richard D. Emery, was forced out in April after referring to the PBA as “squealing like a stuck pig” over his tenure and then using a derogatory term for a woman’s anatomy. The administration and the mayor’s inner circle have been buffeted by at least five interlocking investigations by city, state and federal agencies into fundraising methods. Wiley was in charge of the administration’s legal strategy. He commended Mesa for her work in ushering in greener buildings and an environmentally friendly fleet of city vehicles. 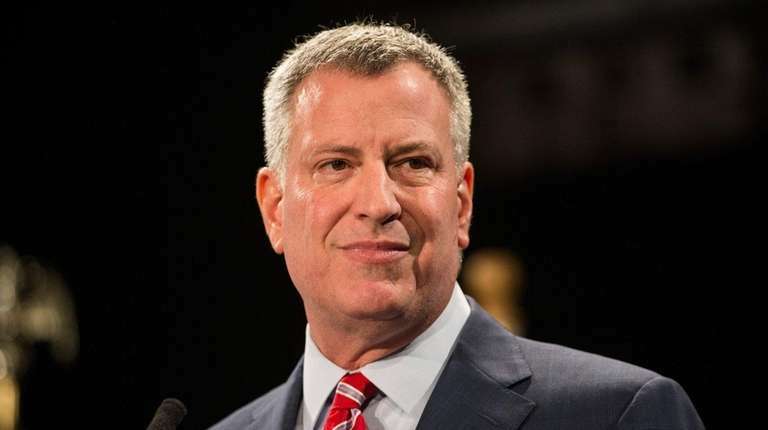 De Blasio: Departures ‘normal course’ of govt. Lloyd spearheaded a $5 billion upgrade of the Newtown Creek Wastewater Treatment Plant and expanded the Green Infrastructure Program, which includes curbside rain gardens.